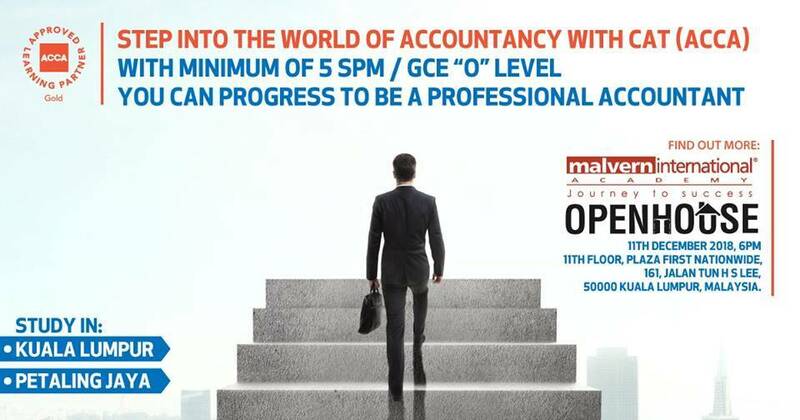 Learn more about ACCA & CAT, SBL, Audit and Taxation. Hear from our keynote speaker, lecturers and students who will share more about the programme on that day. You can also get your enquiries answered right away after the talks. Explore the various pathway at Malvern International Academy and discover your potential. Join our exciting event. The journey to success begins here! 10 CAT vouchers RM100 each will be up for grabs. 10 ACCA vouchers RM100 each will be up for grabs. More than 30 years of GRC (governance, risk and control) experience, a large part in Internal Audit. Wee Hock Kee is currently the Managing Partner of CG Board Asia Pacific providing learning and leadership development in GRC. He sits on a number of boards as an independent director and Audit and Risk Committee Chair. He was the Regional Audit Director in AstraZeneca Plc( UK) for Asia Pacific, Middle East and Africa before moving into private practice in 2005.